Lot Detail - Sword Swallower Sideshow Banner. Siegler, J. and Jack Cripe. 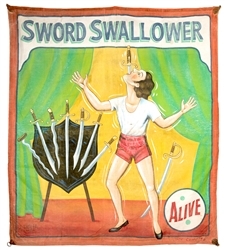 Sword Swallower Sideshow Banner. Tampa: Siegler Studios, ca. 1979. 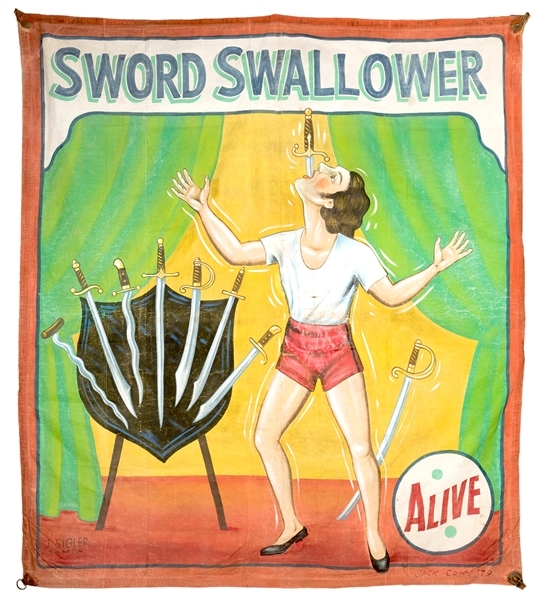 The sword swallower stands next to a display of deadly blades. 108 x 114”. Worn from use, but good overall.